Billboard off the 405 freeway near Los Angeles International Airport. Part of a nationwide campaign involving both "painted" and "30-sheet printed" signs. 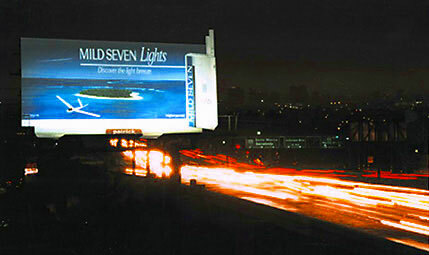 Mild Seven is the second largest cigarette brand in the world behind only Marlboro.